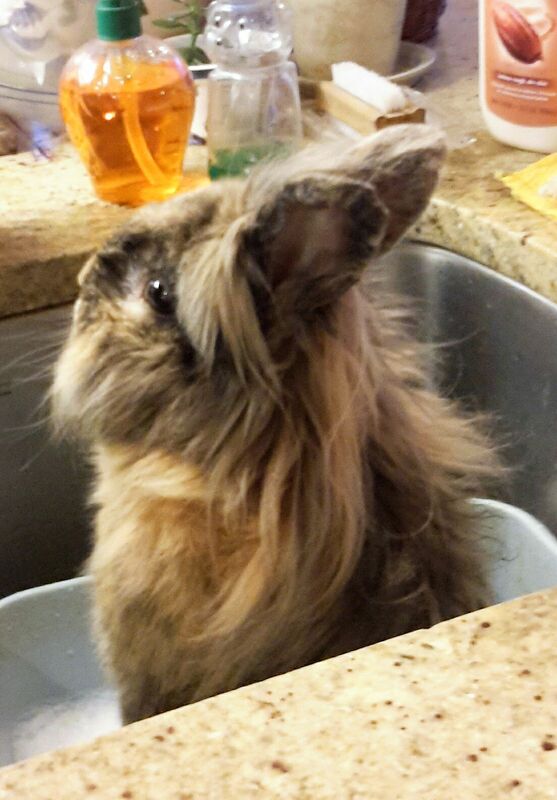 Come on, hoomin, make it sparkle! And where is my nanner lemonade, eh? PS: Dorothy says, "Ragweed loves his bunny bumbaf. He has a malocclusion so it is difficult for him to groom properly." Up pops one, out pops another one! Or something like that. Once again I learn something new from a bunny - nanner lemonade. I am a YUGE lemonade fan so I need to try this!